Cities' transformation into active actors of international economic relations and their participation in international competition form a complex of relevant problems about efficiency of relationships between business and government, global competitive advantages of urban economies, quality of municipal governance, and development and international integration of the urban system of the modern countries (including Russia). 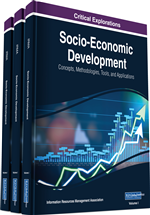 This chapter examines a development of the modern features of the urban system in Russia, analyzes its macroeconomic indicators, actual problems, and evaluates various scenarios for the development of both individual urban economies and the entire urban system of Russia. Modernization of economy of Russia with world's largest natural resource, personnel, innovation and technological potential should be based on transformation of mechanisms for Russian industries’ integration in world globalizing economic space. Improvement of efficiency of Russia's involvement in globalization trends requires an adaptation of the Russian economy to leading global trends - growth of modern cities economic importance and concentration of world economic activity within the boundaries of magapolices’ global network. Features of formation of Russian urban model and national system of Russia’ cities’ territorial distribution, as well as modern problems of Russian cities’ functioning that became particularly acute in conditions of Russia’ economic growth slowing, reducing of indigenous population and growth of international migration, identified an importance and relevance of finding modern approaches to urban management systems in Russia and scenarios of Russia further urban environment development. The purpose of the study is to define, based on the analysis of factors and features of Russia urban economy development, the possible scenarios of Russian urban economic systems progress, as well as the tools to modernize Russian city network for its adaptation to needs of the global economy and world market trends . To set recommendations for modernization of the Russian urban economy in the short term. H5: The most important trends determining development of Russian cities, as well as probability of formation of Russia modern urban economies, deeply integrated into the global economic production and trade processes are growth of labor migration, introduction of the principles of entrepreneurship in city management, as well as development of international economic relations between cities.